If one word could describe this gal as a musician and human being, it’d be “generous.” Andris continuously gives of her time and (extraordinary) musical talents to contribute to Cleveland’s classical music scene in some pretty incredible ways. Being a core member of Classical Rev CLE means you’ve got to be willing to take on interesting performance projects, have a very open mind about repertoire and venues, and be willing to commit time because you simply value the mission. That. Is. Andris. Fun fact: she’s one of the only cellists I’ve worked with who can hear a pop song on YouTube for 3 minutes and come up with a creative cover version on-the-spot for a wedding request. She’s an exquisite cellist and her bright, warm personality shines through much of her music-making. In short, Classical Rev CLE (and Cleveland in general) are lucky to have her! Hey! Where are you from? I’m originally from Singapore, and I moved to Cleveland in 2007 to study at CIM. Now I’m teaching Suzuki Cello at CIM, and I love working with Classical Revolution Cleveland and OPUS 216 – it’s so much fun playing with people you know for so many years! In a city that bustles with independent classical music projects, what makes you/your ensemble unique? I love teaching young children, and I think that takes a special place of its own in the Cleveland music scene. Having a wonderful network of musicians enables me to have some fabulous music-making opportunities. Excited to join the Cleveland Cello Quartet in June – we will be doing a bunch of cool events around town, so stay tuned! I will also be performing at with Classical Revolution Cleveland at CIM for their Lunch & Listen Recital Series with violinist Ariel Clayton Karas and violist Julian Machala on July 5 in Mixon Hall! How else do you contribute to the arts in CLE? I work with ArtsConnect, part of the Cleveland International Piano Competition & Festival, and we are giving musical presentations to 11 schools in the next two weeks! What is your long-term vision for life as a musician in Cleveland? I would like to continue building a healthy and solid cello studio, as well as being actively involved in the various musical organizations in Cleveland. Performing Dvorak’s Cello Concerto with the CIM Orchestra in Severance Hall. I never thought that I would be able to solo on the very stage The Cleveland Orchestra performs on – it was a dream come true! Cooking and exploring new restaurants with my fiancé, Chris! 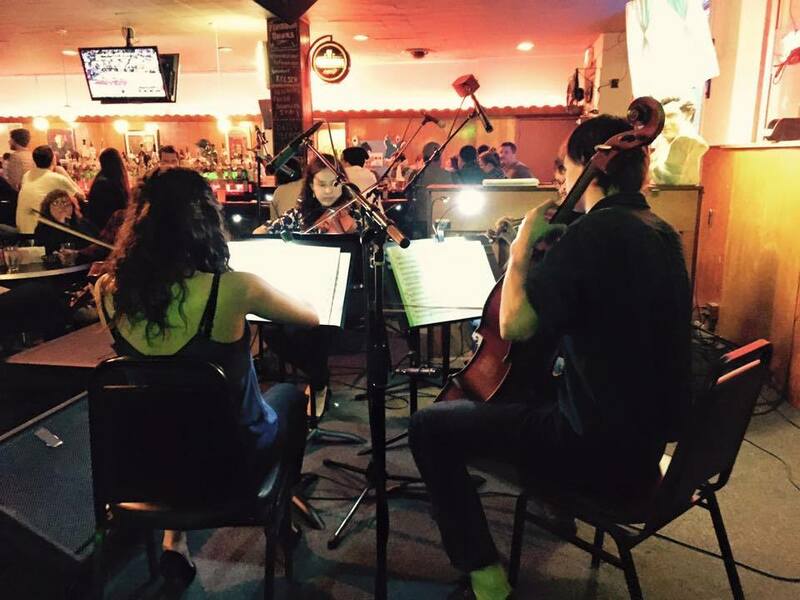 I like listening to all sorts of music – my favorite moments are watching live bands at Nighttown, Cleveland Masonic Auditorium, and at various bars around town. Everyone is so talented, and everyone has creative musical ideas! The best thing is that we support and encourage each other, and we keep doing what we love most – music!